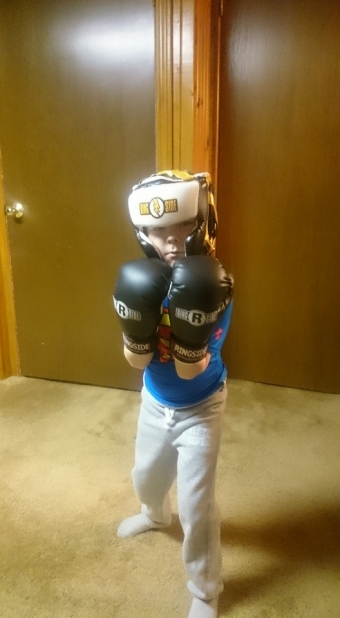 The SAFEST and Most FUN Kickboxing Program for Kids is Coming to Niagara. Beginning Tuesday February 2nd, the brand new SBG Striking Program for Kids will begin. Another World Class martial arts program from Straight Blast Gym for the children of St.Catharines and the Niagara Region to benefit from. The kids will learn how to safely and effectively punch, kick and knee as part of this program. This will give them another set of tools for effective self defense as well as having the opportunity to earn a spot on our brand new Kids Striking Competition Team. "Rich Beaupit's coaching abilities were apparent the first time I arrived at the gym and saw him working with children. The kids were laughing, moving, listening. They rolled and wrestled with determination and above all fun. Essentially, the kids were at play - and what better way to learn than through the natural motions of play? For me, this is the perfect metaphor for how SBG Niagara works. Yes, there is a serious quality to the application of "what" we learn. But true learning is measured in terms of "how" not "what". How does one apply their skills to every day life? How does it shape our role in the world? How do we incorporate what we know in a meaningful way? At Beaupit's, the "how" is derived from a sense of play. The atmosphere light-hearted but diligent, relaxed but sincere. The students (of all ages) feel at home in a sense, because they arrive at a place that is safe and open to people of all backgrounds. The goal one of learning (playing) together as a group instead of going through the motions of an enforced hierarchy. This sets Rich's gym apart from the rest, in my mind. It shows that community means more than notoriety. The seriousness of the martial art not trumped by ego, but seen as a way to better one's place in the world, and to better the people we engage with." With our "New Year" Special Offer now running it is a great time to get your child started at SBG Niagara, the Niagara Regions Most Respected Martial Arts School. Give the program Director a call at 905.329.KICK(5425) to get your child started now!